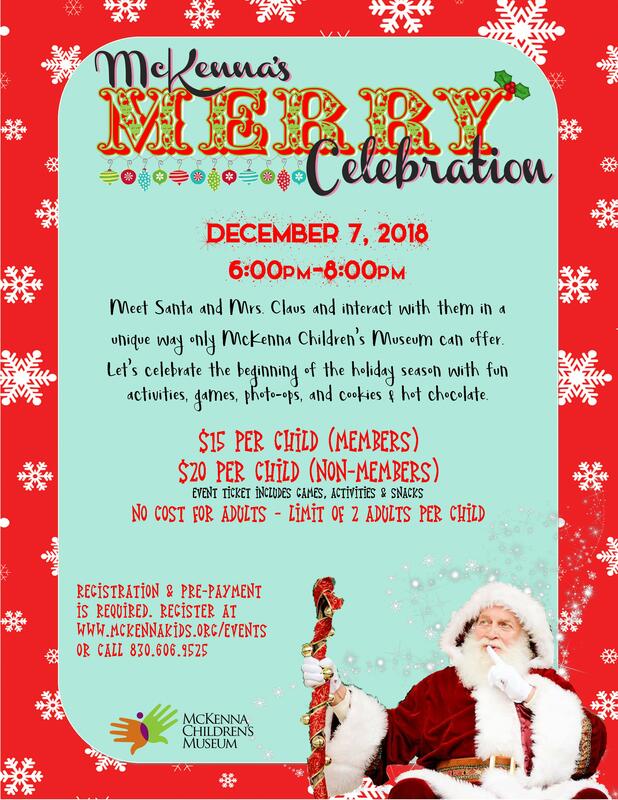 Meet Santa and Mrs Claus and interact with them in a unique way only McKenna Children’s Museum can offer. Let’s celebrate the beginning of the holiday season with fun activities, games, photo-ops, and cookies and hot chocolate. Registration and pre-payment is required.